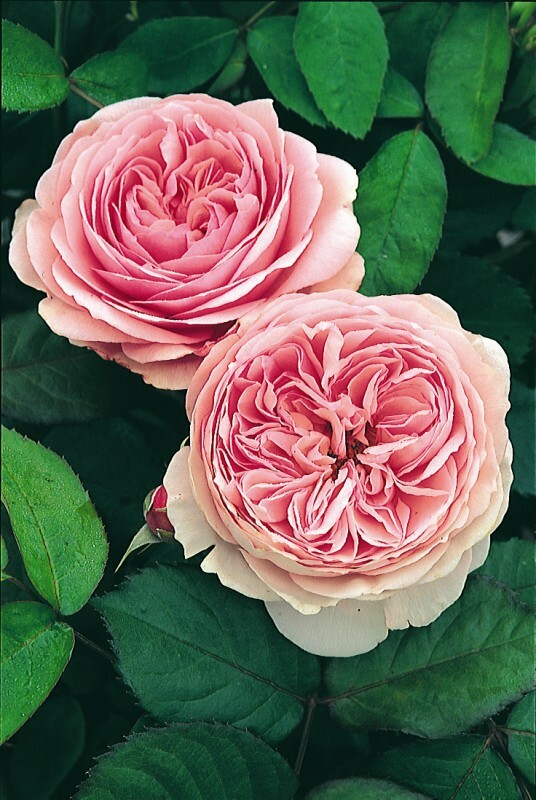 The flowers are of a warm, soft pink and are cupped at first, later becoming rosette-shaped, the outer ring of petals fading to white, providing a most attractive effect. There is a light Old Rose fragrance with a hint of apple. A beautifully rounded and bushy shrub, ‘Geoff Hamilton’ is a strong-growing, healthy and exceptionally disease resistant. Its foliage is similar to that of a Hybrid Tea rose. It is an excellent choice for the back of the border.